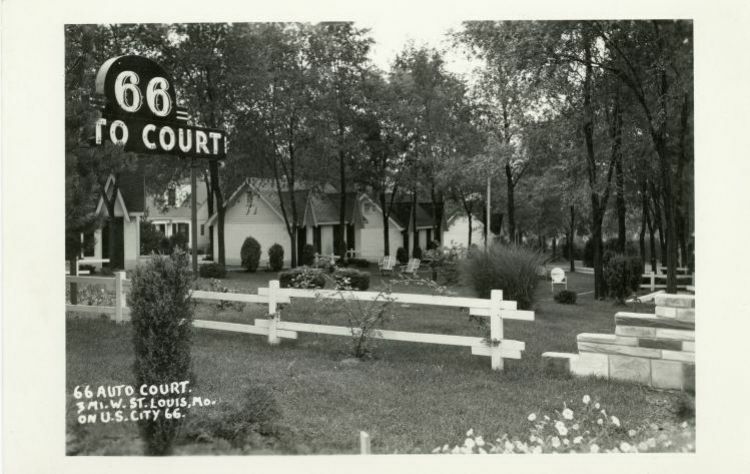 The 66 Motel had 30 rooms, billed as "The Finest Modern Auto Court" in the St Louis area. The 1946 AAA directory called it "pleasant". Since the court was three miles west of the city limits, the slogan asked "Why Spend the Night in the City?" The card noted that the 66 was still only 15 minutes from downtown.